Easily one of the showiest wild lilacs commonly grown in our climate. 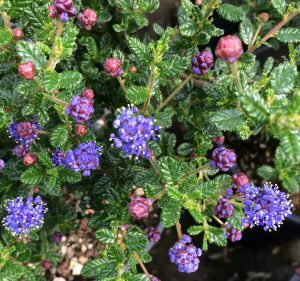 Tiny almost black/green foliage is completely covered by masses of foamy deep cobalt blue flowers for several weeks in April. One of the showiest cultivars. Fast growing evergreen shrub to 6′ x 6′ in three years. Full sun and average, well drained soil. Light consistent water to establish then none. Site out of subfreezing east wind which will not kill it but can burn it badly. 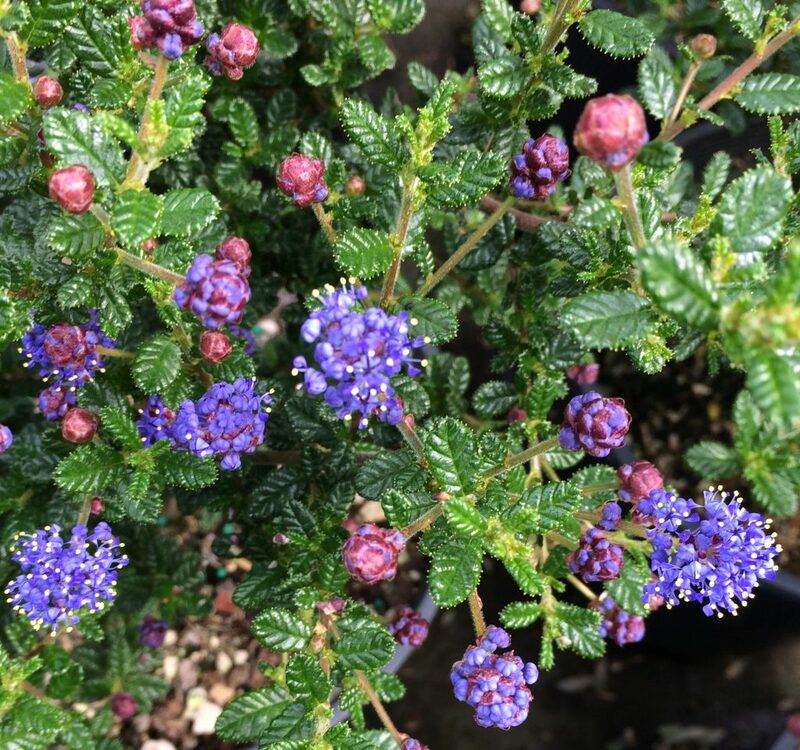 Easy, spectacular, fast, west coast native shrub.